Coffee and espresso are very different drinks. While it may seem they are both very similar, there are unique distinctions to each. We thought it would be a good idea to help our readers better understand exactly what makes coffee and espresso each their own special beverages. Both drinks are similar in that they use coffee beans that are first roasted and then ground. From that point, there are many different roasting profiles that can be used. The different roasts result in slightly different flavors and colorations of the coffee. These roasts vary from light to dark roasts, and everything in between. 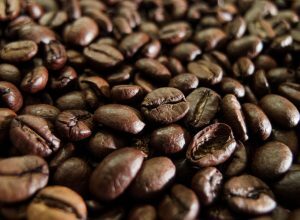 Note that light roasts will have a higher caffeine content, since prolonged exposure to heat (as in roasting for a dark roast) removes caffeine. This is counterintuitive to many, since a darkly roasted coffee tastes “stronger” to many. “Standard coffee,” as we know it in America is made the same way that tea is made: coffee grounds are steeped in water that’s been brought to a boil, and then drained through a filter. This all happens at “1-Atmosphere” of pressure, i.e., there is no pressure used. Note that since the coffee steeps in boiling water, this process extracts more caffeine from the beans that the process used for making espresso, which we’ll describe. Another counterintuitive fact is that American drip coffee actually has more caffeine that espresso does. Again, people mistake “strong flavor” for “high in caffeine.” This isn’t the case. Espresso is lower in caffeine, with the dark roasts being the lowest. American drip-coffee is higher in caffeine because of the slower drip process done with boiling water. How is espresso made if it isn’t steeped? Espresso is made via a high-pressure extraction that’s done quickly. There’s no steeping, and because the extraction is done under pressure, the temperature of the water is typically 195-200 degrees; much lower than the boiling temperature used for American coffee. An espresso machine is a lot more complicated (and more expensive) than equipment used to make drip coffee. This is because it needs to do a high-pressure extraction. Espresso extractions are typically done at 9 Bars (roughly 9-Atmospheres), which is very high compared to American coffee (1-Atmosphere). And the extraction for espresso needs to be fast. Remember that while American coffee is simply a filter-drip process (and can take a couple of minutes), espresso extraction is done under high pressure, so it will be much faster. The barista will adjust the grind of the coffee and his tamping pressure so that an espresso extracts in 20-25 seconds. Any less than this, and it’s weak. Any more than this, and it’s bitter. Coffee and espresso are really just two different ways to experience the wonderful cocoa bean. It’s up to you to decide which method of coffee consumption is best for you. The Coffee Brewers not only offers all the products you’ll need to brew that perfect cup, we also have developed an extensive online library to aid people in understanding all aspects of coffee. We hope you’ll stop by our website and check out what we have to offer.